I lovelies! I have a review of another US beauty product for you all today. It's no secret (no pun intended), that Victoria's Secret is a bit of an obsession of mine. The swimwear and underwear is gorgeous and I'm hoping to expand my collection (when my bank account allows), but what I love the most is their bath and body, cosmetics and accessories. I could spend forever browsing through the little makeuppy bits, the phone cases, makeup bags, perfume and all the bath and body stuff. 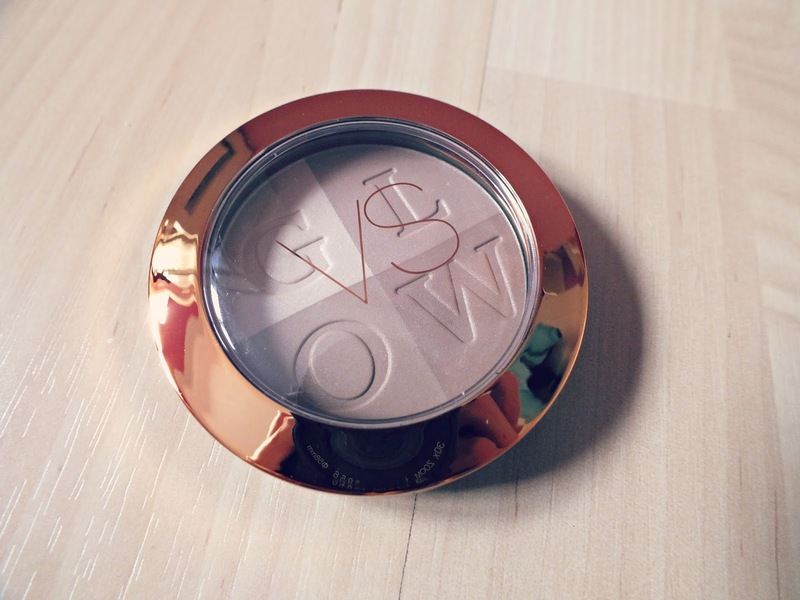 So, when I got the chance to try this gorgeous mineral bronzing powder, I was so excited! I haven't seen this in the UK stores, so I'm not sure it's available over here, Victoria's Secret seriously need to get their act together and get some online shipping to the UK on the go, we're waiting! So, as you can see this, this little beauty is a four colour bronzing powder. It's got a very subtle shimmer and the shades are all fairly light, which is perfect now my summer tan has well and truly disappeared. What's great about this is that you can use a light hand and apply it all over for a really natural looking glow, but because the colours are well pigmented, you can build it up for a deeper bronzed look. The darker shades can even be used as contour as the shimmer is so subtle. The four shades make this product really versatile as you can mix and match to create different 'levels' of bronze! 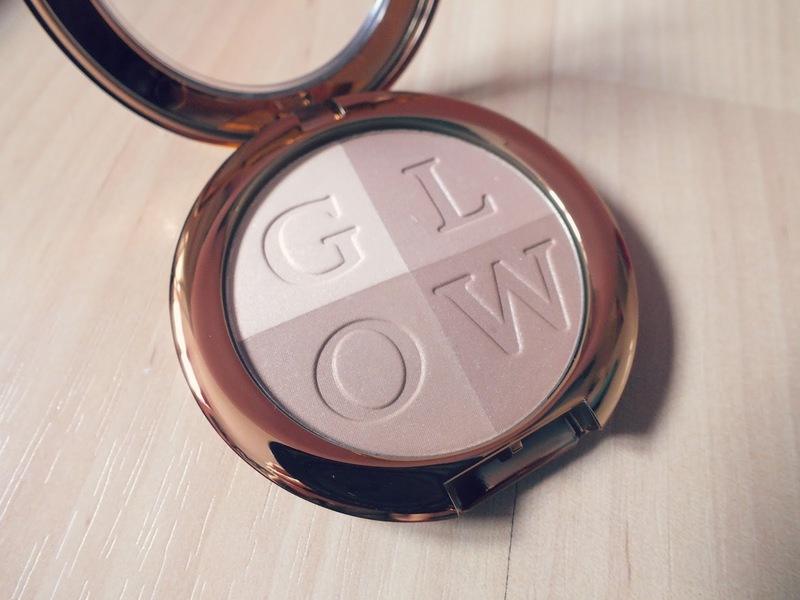 There is one light shade, which makes the perfect cheek highlight (gotta love a multi-use product! ), I use a slightly smaller brush to just get this shade when I want to do this and a larger brush to swirl all the colours together for an all over natural look. 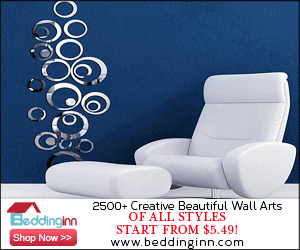 You can also just sweep your brush through the darker shades if you wish too. This is a mineral powder and I find it sits really nicely on the skin without going cakey on top of other powder products which is fab, no one likes a muddy, cakey bronzer! So, overall, I'd totally recommend this if you can get your hands on it, I'm pretty sure this comes in other shades, this is the light shade, which is perfect for my skin tone at the moment, but you could obviously see what's best for you! What do you think? Is this something you'd like to try? What's your favourite VS product? Ooh this looks gorgeous! I've never tried any Victoria Secret's products before but they do look (and sound) wonderful!! This looks really good, the packaging is so pretty as well. I wish we had more VS stores in the UK.